Below you can view all the homes for sale in the Crystal Lake Country Club subdivision located in Hampton Georgia. 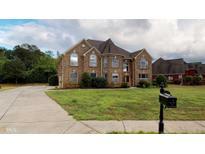 Listings in Crystal Lake Country Club are updated daily from data we receive from the Atlanta multiple listing service. To learn more about any of these homes or to receive custom notifications when a new property is listed for sale in Crystal Lake Country Club, give us a call at 404-998-4089. Don'T Let This Gem Pass You By! ! MLS#8568227. Jar House Llc. This Home Will Not Last Long. View Today! MLS#8568388. Keller Williams Rlty Atl. Part. Restaurant, Lake, Pool, Tennis Courts, Gym, Playground & Golf Course Within The Gates! MLS#8565890. Crowe Realty. Great Neighborhood Minutes Away From Schools, Shopping, And Restaurants. MLS#6536671. Keller Williams Buckhead. Great Neighborhood Minutes Away From Schools, Shopping, And Restaurants. MLS#8565125. Keller Williams Rlty. Buckhead. **All Appliances Including Refrigerator, Washer & Dryer Stay With Acceptable Offer! Within Walking Distance To Pool! MLS#6531566. Southside Realtors, Llc. Finished Basement Perfect For In-Law/ Teen Suite, 2nd Kitchen Opens, Additional Bedrooms And Much More! MLS#6530027. Keller Williams Realty Atl Part. The Basement Has Tons Of Storage, A Wet Bar, Rec/Great Room, 2nd Master With Large Closet, & Full Bath. Upgrades Throughout! MLS#6527228. Southside Realtors, Llc. With This Price It Wont Last Long So Hurry! ! MLS#8549062. Keller Williams Rlty Atl. Part. Photos Reflect Plan, But Not Front Elevation. MLS#8546977. Knight Realty Of Georgia. Master On Main! Photos Reflects Floor Plan. MLS#8546940. Knight Realty Of Georgia. Open The Door To Coffered Ceilings, Arched Passageways, Iron Rail Spindles, Granite And Tile Backsplash! Photos Reflect Plan. MLS#8546918. Knight Realty Of Georgia. Open The Door To Coffered Ceilings, Arched Passageways, Iron Rail Spindles, Granite And Tile Backsplash! Photos Reflect Plan. MLS#8546924. Knight Realty Of Georgia. Included In Home Are Stainless Steel Appliances, Double Ovens, Separate Gas Cooktop, Large Island With Sink, Dish Dishwasher & Microwave. Photos Reflects Floor Plan. MLS#8546896. Knight Realty Of Georgia. Dine-In Kitchen Has A Gathering Bar + Access To Grilling Patio W/Golf & Seasonal Lake View. Teen/Guest/In-Law Suite. Must See! MLS#6520526. Duffy Realty Of Atlanta. Gated Community With Optl Golf Access, Lake For Fishing. Home Warranty Included. MLS#6517951. Keller Williams North Atlanta. Huge Master Suite With Sitting Area,Double Vanity And Walk-In Shower.Fabulous Loft Area.Enjoy Private Backyard With Extended Patio And Gorgeous Landscaping(Sprinkler System)Perfect For Entertaining And Family Time.Put His One On Your List! MLS#8541483. Apollo Associates Inc..
No Detail Left Untouched With 12+ Foot Ceilings, 10" Molding, Custom Cabinets, Brazilian Cherry Hardwood Floors In All Common Areas, Tile In All Baths And Beautiful Vaulted And Trey Ceilings. Don'T Miss This Wonderful Home! MLS#8539129. Keller Williams Rlty Atl. Part. Living Space, Bedroom, Bathroom And Theater Room In Basement Along With Plenty Of Storage. MLS#8535780. Axis Realty Inc.. The Back Yard Leads Right To Lake Erma With Gorgeous Sight Lines From The Master At Both Sunrise And Set. MLS#8533574. Best Realty, Llc. Outside Boasts A Circular Drive, Professionally Landscaped Lawn, Boat-Door/ 3rd Garage In The Basement Tree Lined Back Yard, Original Seller Chose This Lot As There Won'T Be Anything Built In The Rear, Providing Peace & Privacy. MLS#8531634. Drake Realty Of Greateratlanta. Visit Builder Website For Contact Information. *Stock Photos* MLS#6504306. 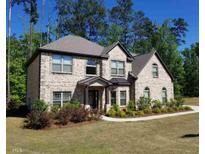 Dr. Horton Realty Of Georgia, Inc..
Visit Builder Website For Contact Information. *Stock Photos* MLS#6122076. 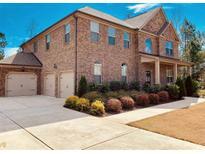 Dr. Horton Realty Of Georgia, Inc..
Upper Has Loft, 3 Beds, Owner Suite W/Sitting Area & Huge His/Her Closets. *Stock Photos* MLS#6121468. Dr. Horton Realty Of Georgia, Inc..
Visit Builder Website For Contact Information. *Stock Photos* MLS#6121436. Dr. Horton Realty Of Georgia, Inc..